Arab foreign ministers on Saturday demanded that the United States rescind President Donald Trump's decision to recognise Jerusalem as Israel's capital, calling it a "grave" development that puts Washington on the same side as the occupation and the violation of international law. In a strongly-worded resolution long on rhetoric but short on meaningful actions, the ministers also called for the UN Security Council to adopt a resolution condemning Trump's decision. For example, the draft resolution obtained by The Associated Press did not include any punitive actions against the United States, like calling for a boycott of American products or suspending or downgrading ties with Washington. 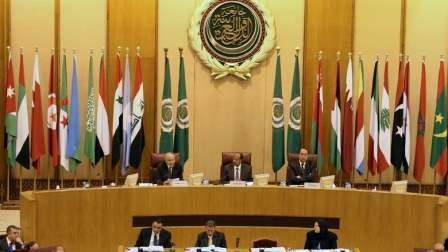 Arab diplomats said some Arab League members had wanted the resolution to include punitive measures against any country that follows the US example and recognizes Jerusalem as Israel's capital. That, according to the diplomats, was considered too radical by moderate Arab nations and eventually dropped. The diplomats spoke on condition of anonymity because they were not authorized to brief the media. Trump's decision, said the resolution, stripped the US of its role as a "sponsor and broker" in the Middle East peace process. "It undermines efforts to bring about peace, deepens tension and will spark anger that will threaten to push the region to the edge of the abyss of violence, chaos and bloodshed." Jerusalem's status lies at the core of the Israeli-Palestinians conflict, and Trump's move was widely perceived as siding with Israel. Even small crises over Jerusalem's status and that of the holy sites in its ancient Old City have sparked deadly bloodshed in the past. Protests continued on Saturday for the third consecutive day in the West Bank and Gaza Strip, while in Cairo the head of Egypt's largest Christian church announced that he would not meet US Vice President Mike Pence when he visits Cairo December 20. A similar decision was taken Friday by the head of Cairo's Al Azhar mosque. The resolution adopted by the ministers reiterated that only the creation of an independent Palestinian state with east Jerusalem as its capital would end the Arab-Israeli conflict. The ministers would meet again in a month's time to review the situation, said the resolution. During a 2 ½ hour session carried live on regional and local TV networks, the ministers gave speech after speech on the issue of Jerusalem. The session, which began at 9pm, was taken up by nearly 20 speeches, with comments ranging from blasting Trump's decision to the need for concrete action to musings on whether fiery speeches would change anything. "If we do nothing about this one (Trump's decision), there will be many, many more tragedies," warned Iraq's foreign minister, Ibrahim Al Jaafari. "No normalisation (with Israel) and no compromises." "Could this calamity bring us together and wake us from our slumber?" he told the meeting. Earlier, Arab League chief Ahmed Aboul-Gheit and Palestinian Foreign Minister Riyad Al Maliki called on world nations to recognise the State of Palestine with east Jerusalem as its capital in response to Trump's decision. Aboul Gheit said Trump's decision "condemned" the country that took it and the administration that passed it. It also raised a question mark over Washington's role as a peace mediator, not just in the Middle East but in the entire world.